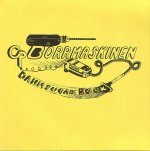 You now have the opportunity to buy this famous single made by my former group Borrmaskinen. It was played several times in the Swedish national radio channel, P3 in 1987 and a couple of years later. It doesn't leave the listener untouched. It was my as well as the other friends in the group first record.